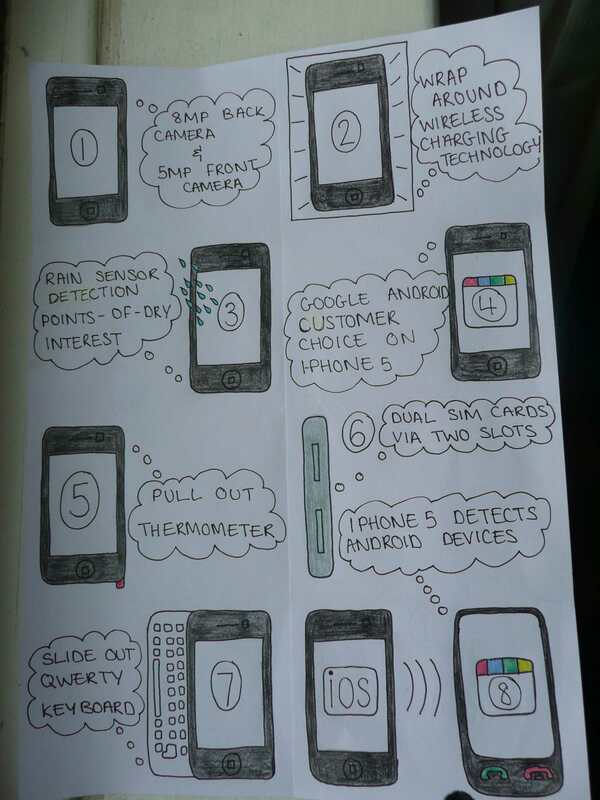 Today we here at Phones Review thought we should put together our iPhone 5 infographic: Our top 8 reasons to get it. We have a few ideas of what the new Apple smartphone should feature, note we said should and not WILL. Earlier on today Phones Review colleague James published an article with an infographic giving you the top 9 reasons why you shouldn’t get the iPhone 5, well we want to bounce back at this and give you our top eight why you should. Here are the ideas, but please check out our very own infographic below; Number 1 shows a camera and this would feature an 8MP cam on the back and a 5MP on the front, Number 2 = Wrap around wireless charging technology, Number 3 = Rain Sensor and when rain hits the waterproof screen it will automatically give users points-of-dry-interest, basically lets you know all the dry places you can visit if it is raining. 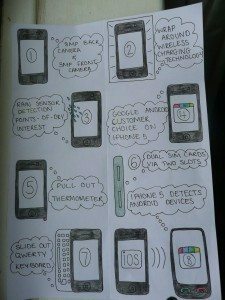 Number 4 = Google Android customer choice, when a customer walks into a store they can choose an Apple iPhone 5 with either iOS or Android OS, Number 5 = Pop-out thermometer that pops out the bottom of the iPhone 5. Wonder if any of the above features would ever take off, just a thought. Hope you like our iPhone 5 infographic below and the top 8 reasons why you should get it. Oh come on readers you know that number eight is very funny, would definitely put a few smiles on both Android and iOS users faces. Now check out our very own drawing that we have put together below, if you know of any features you would like the iPhone 5 to have please do let us know in the commenting area.